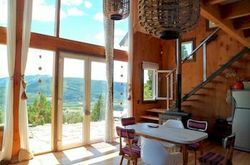 Property Location When you stay at this vacation home in San Martin de los Andes, you'll be next to a golf course and convenient to Cascada Cha Chin and Cascada Chachin - Hua Hum. This property is within close proximity of Koessler House Museum and La Pastera Che Guevara Museum. Rooms Make yourself at home in of the guestrooms featuring fireplaces. 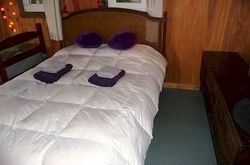 Your bed comes with down comforters, and all rooms are furnished with single sofa beds. Rooms have private balconies or patios. Kitchens are outfitted with full-sized refrigerators/freezers and stovetops. Amenities Take advantage of recreation opportunities such as ski-in/ski-out access or take in the view from a terrace and a garden. 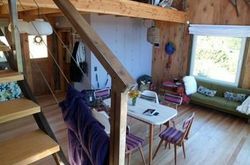 Additional features at this vacation home include wireless Internet access (surcharge), tour/ticket assistance, and a picnic area. Business, Other Amenities Featured amenities include wired Internet access (surcharge) and dry cleaning/laundry services. Free self parking is available onsite. 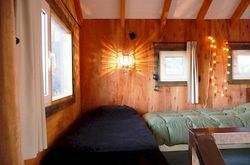 Si van a estar de viaje por San Martin De Los Andes no duden en considerar alojarse en Un Viston Modern Mountain Home. No se van a arrepentir! 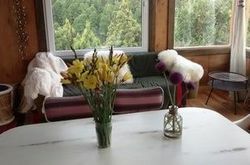 Estuvimos de viaje en San Martin De Los Andes y nos alojamos en Un Viston Modern Mountain Home. Todo estuvo bien. Recomendable!